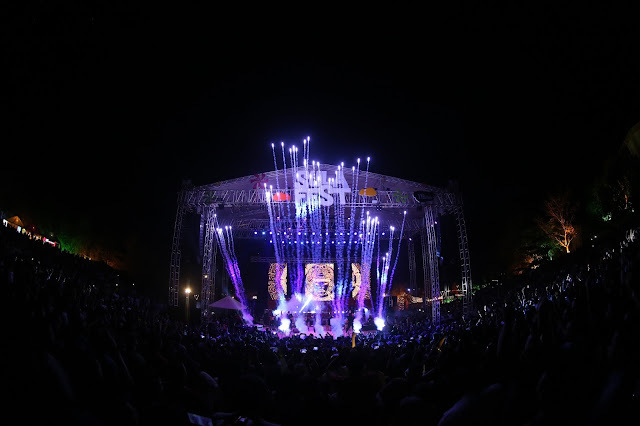 Bangalore, 8th February 2018: With an aspiration to break boundaries and set new milestones as India’s leading Gourmet World Music Festival, SulaFest 2018 was the 11th edition of the two-day music, food and wine extravaganza. Set against the picturesque backdrop of Sula’s own lush vineyards the festival gave audiences a unique experience of the best from the worlds of music, food and wine. The vineyards were brought to life with culinary and cultural experiences that left fest-goers with memories to cherish for a lifetime. Speaking about SulaFest 2018, Ken Pritchard, Senior Vice President, Marketing & International Sales, Sula Vineyards said, “What a great weekend! Another fabulous SulaFest which everyone enjoyed. A huge thank-you to all our sponsors and partners, we couldn’t do it without you! The ultimate measure of success is happy fest-goers and I saw many thousands of those over the 2 days. The second decade of SulaFest has arrived!" In addition to the finest food, wine and music, some of the highlights of the festival included specially curated experiences, such as grape stomping sessions and games hosted by Tinder. Giving audiences the perfect weekend getaway, “Camp Tinder” featured bonfire sessions with exclusive acoustic performances by spectacular artists. Taking forward the successful association from the last edition, Brookside by Hershey’s sampled their pomegranate, Blueberry and Raspberry chocolates at the fest whilst Jal, the SulaFest hydration partner kept the audience cool in the glorious sunny weather. Some of the activities that took the crowd by storm included exclusive meet and greet sessions with the artists performing at the SulaFest tent city, treasure hunts and exquisite wine and food pairing sessions. The SulaFest Bazaar offered a selection of unique, funky items that added to the festival experience, especially for all the shopaholics! Sula is also a pioneer in India’s wine tourism opening the country’s first winery Tasting Room in 2005 and first vineyard resort, Beyond by Sula, in 2007. In March 2017, the company opened India’s first heritage winery resort, The Source at Sula. Their annual music festival SulaFest taking place yearly in the first weekend of February is one of the country's most awaited festivals.